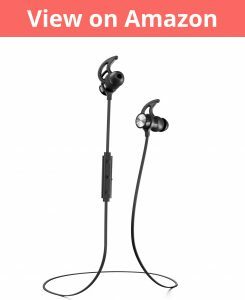 These Phaisers aren’t an expensive pair of earbuds though that doesn’t mean they aren’t a good product.They have quickly become an extremely popular product and that’s always a great indication of a product. Them seem to hit all the right spots – comfort, sound quality and other nifty features. Let me elaborate more below. Inside you get 3 sets of ear hooks in different sizes, 3 additional sets of ear tips in different sizes and another set of ear tips in a foam like material. You also get a long hard-shelled travel case, 2 clips, a micro USB cable and the usual quick start guide. These earbuds aren’t the most stunning earbuds I have ever seen but I was pleasantly surprised when I first got them out of the box. They have a mostly plastic housing with an almost chrome on the backside of each earbud. The chrome area is also magnetized which makes for storage of the earbuds much easier, you can also wear them basically like a necklace when you aren’t using them and this makes them basically impossible to lose. When it comes to comfort I was very happy with the fit, this is partially thanks to the nice section of ear tips which you can choose from to get the best fit possible, and the same applies to the wings as well and if you are lucky enough you can wear the foam ear tips that are included. Though there is only one size available for the foam which is a little annoying though the apart from that the selection is great. Also thanks to the nice fit and the wings they always stayed in place well even when I am doing a rigorous workout. Also, it’s worth mentioning that they can be worn either over the ear or under the ear. This is great if you prefer one over the other. Whereas with some other earphones you only can wear in one position. Here you won’t have that problem. They are also waterproof thanks to the Liquidpel nano coating which Phaiser say they can be dropped into water and will still work, and while I didn’t test that, they worked perfectly through my sweaty workout. They have an 8mm driver which does a solid job for accuracy throughout the lows, mids and highs. They have a higher than average bass which was quite good. Their overall audio quality could compare to some earbuds that are double their price, though if you are an audiophile or what top notch audio they aren’t perfect but if you are coming from Apple/Samsung earbuds they are a significant improvement! 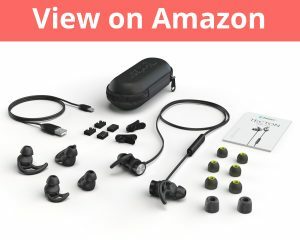 They are equipped with Bluetooth 4.1 and regarding connection quality they provided a consistent signal that rarely stuttered or had any issues or problems. The battery life isn’t going to break any records. They provide around 5-6 hours of playback and can be recharged from empty to full in around 90 minutes. Calling works well when you are wearing them in the normal fashion and the in-line controller (where the mic is located) picks up the sound well. It’s worth noting if you are wearing them on the back of your head it won’t pick up your voice well so when making calls you really have the under-ear orientation. 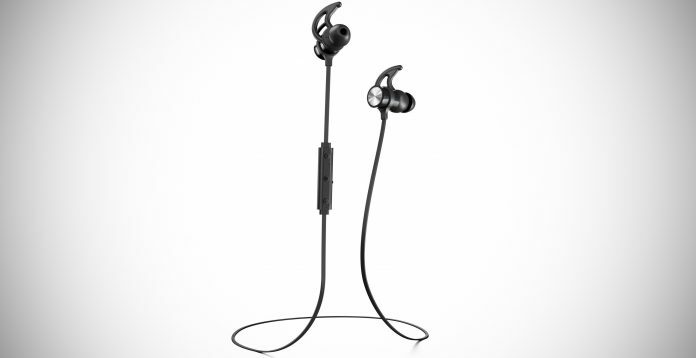 These Phaiser BHS-730s have all the important elements for good quality earbuds – good sound quality, a clean design, comfortable fit, waterproof and all these features at a very reasonable price point. It’s an easy recommendation for me to suggest you pick them up today!